We offer monthly freediving courses, including Intro Freediver and Ocean Freediver courses on the Sunshine Coast. The Intro Freediver is 8 to 5pm on the Saturday while students undertaking the full Ocean Freediver course return for ocean activities on the Sunday from 7am to about midday diving off Mooloolaba. We meet on the Saturday at 8am at Black Swan Park beside the Cotton Tree Aquatic Centre for theory and static breath hold activities. 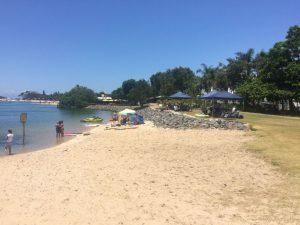 There is a short lunch break around midday before proceeding to the Cotton Tree Aquatic Centre for rescue drills and “dynamic” underwater swimming. The day concludes with the knowledge review and multiple choice exam to ensure key freediving and safety concepts are understood. All ocean activities are conducted on the Sunday either from our own boat “Into the Wild” or one of the commercial dive boats based in Mooloolaba, depending on the number of students enrolled in the course. For the Ocean Freediver course we prefer to choose locations with the best visibility and the least current to help students have the best freedive experience. Perhaps one of the most well known locations for freediving Sunshine Coast is the HMAS Brisbane. The HMAS Brisbane was a 133 metre destroyer of approximately 5000 tons sunk off the Sunshine Coast in 2005 in about 28 metres of water. The top of the wreck is only about 5 metres beneath the surface. The range of depths makes it the ideal dive site for freedivers wishing to dive deeper (typically with advanced freediving certification). 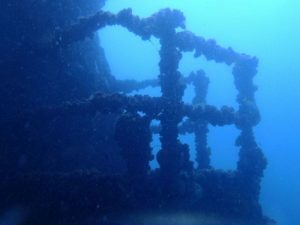 Located only some 8 kms north east of Mooloolaba it also means the trip out to the wreck is pretty quick and you get to spend more time underwater. This is the primary dive site for all commercial dive boats on the Sunshine Coast.